Part of the fun and whimsy of celebrating the rich history and heritage of any culture includes the creation of a period costume. We take notice of suppliers that offer quality along with a fine selection of historical apparel. Of course, the beautiful gowns at Your Dressmaker caught our eye, which is why we offer our own special collection of their period clothing. From dresses, cloaks, shirts, and trousers, the tailors of Your Dressmaker offer handmade items that are sure to please the most discerning. 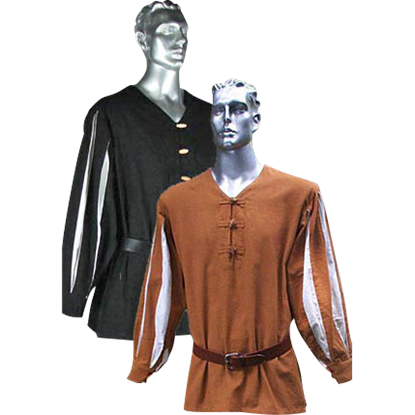 Our assortment includes clothing for children and adults, perfect for a memorable family outing into the renaissance or medieval eras. Several dresses take inspiration from the Civil War, suitable for the role of Southern Belle. 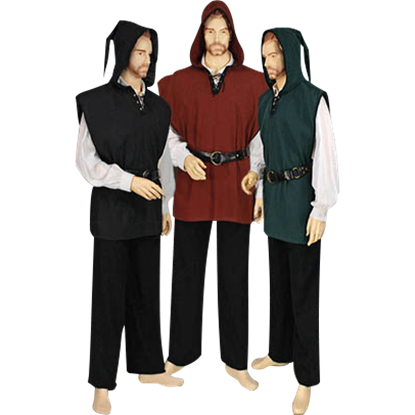 We offer shirts and capes befitting a noble knight, while our Dracula cloaks cater to the gothic genre. Your Dressmaker shares in our love for history and roleplay. So, browse through the excellent assortment that we have to offer. Be sure to check back regularly, for one never knows what we will come up with next. 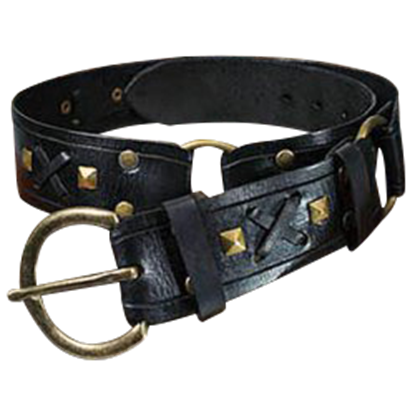 The intriguing and attractive Arthur Leather Belt is hand-crafted from leather and features a number of intriguing designs that make it quite an impressive belt to look at and of course, it is still a totally functional belt. The Artus Leather Belt is an intriguing belt that is as functional as it is visually appealing. 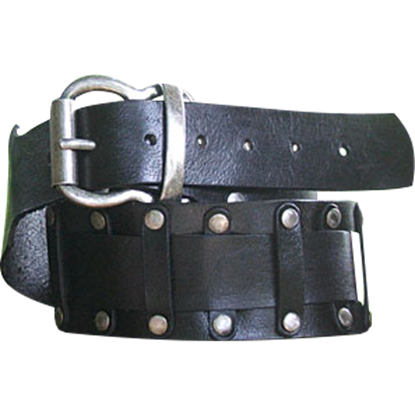 This buckle belt is made entirely from leather and makes a great addition to almost any look, be it medieval, renaissance, or fantasy. 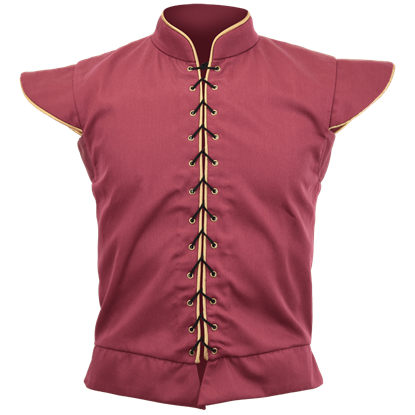 Add distinguished style to your historical reenactment or fantasy look with the Cotton Twill Renaissance Doublet. Made of closely woven cotton twill and lined with satin, this front-lacing top suits various characters and settings. That last dash of style might be just what you need to bring together your costume, but where do you get it? A perfect belt is just the thing, and for something bold, there is no better belt to consider than this Crossed Leather Belt. If you have need of a heavy-duty belt, then look no further than the Doubled Norman Buckle Belt. 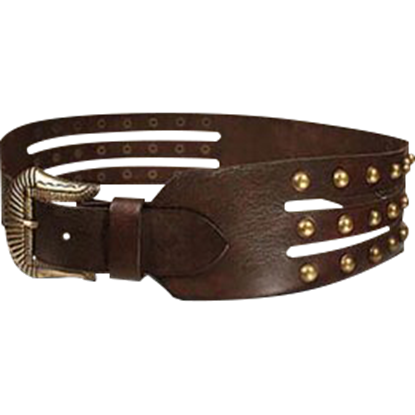 This durable buckle belt has a double-layered design that gives this belt a rugged look that is perfect for warriors and brigands. 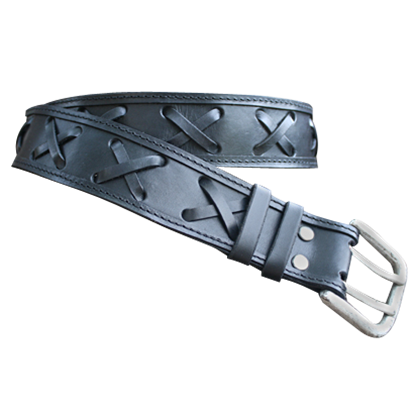 The Essential Leather Belt is exactly what its name implies. 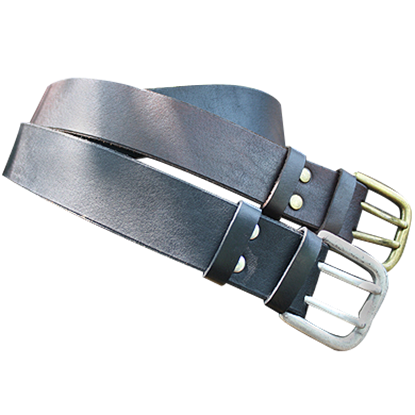 This handmade leather belt is a fantastic accessory sure to match almost any reenactment outfit, whether you are dressing for a Renaissance festival or medieval LARP event. There is not a better shirt for a swordsman then the European Fencing Shirt. This light-weight shirt is perfectly designed to provide great style, without making the additional sacrifice of lost mobility and range of movement. The European Styled Pants are handcrafted from 100% cotton. 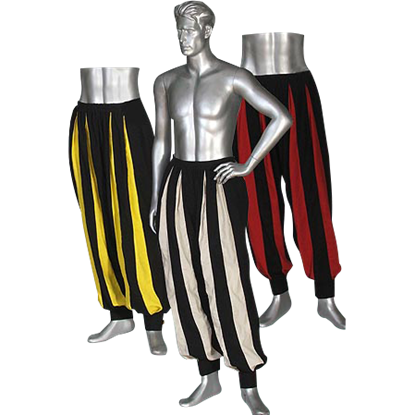 Not only that, but these medieval-styled pants also quite colorful. 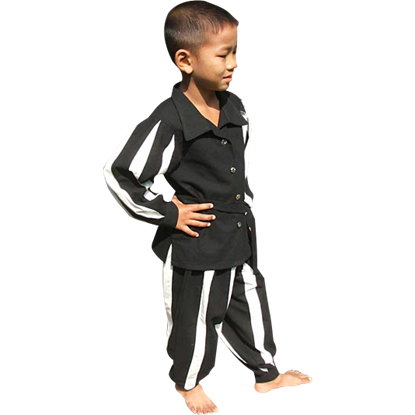 These striped pants are available in a wide variety of vivid colors. Our Gothic Style Hood is a great addition to any outfit and is for both men and women. 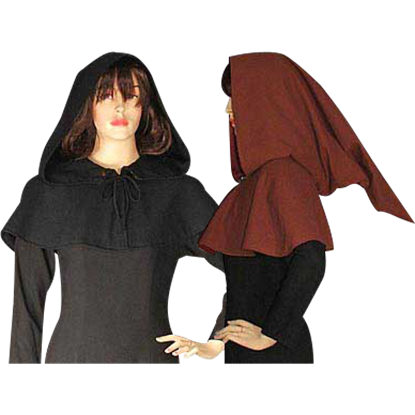 This is a full cut hood and also has an oval mantle which completely covers the shoulders. The Gothic Style Hood is made of medium weight cotton.